CRA’s Center for Evaluating the Research Pipeline (CERP) recently underwent staffing changes when former Director Jane Stout left the CRA. 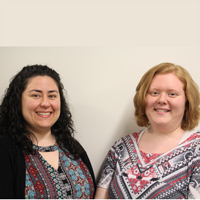 Burçin Tamer, Ph.D., is now the Director of CERP and Heather Wright is the Associate Director. Under their leadership, CERP will extend its reach as a resource for the computing community through its Data Buddies Project, evaluation services, and other activities. Heather and Burçin are both excited to make contributions to the computing community and drive the broader mission of CRA to facilitate the development of strong, diverse talent in the field. CRA wishes to thank the computing departments who distributed CERP’s Data Buddies survey during the fall of 2017. These departments’ collective effort provided vital data for CERP’s research and evaluation assessing students’ varied experiences in computing degree programs. 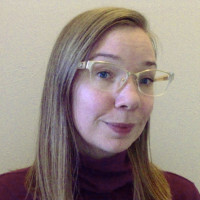 Recently, CRA board member Kim Hazelwood (Facebook) and Natalie Enright Jerger (University of Toronto) published an article in Computer Architecture Today that analyzed gender diversity in the sub-discipline. CRA’s Jane Stout provides her commentary. The CRA’s Center for Evaluating the Research Pipeline (CERP) turns four years old this month. During the past four years, CERP has been working steadily toward its goal of building diversity in computing through evaluation and social science research. 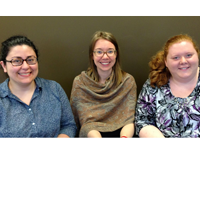 CERP is staffed by Director Jane Stout, Research Scientist Burcin Tamer, and Research Associate Heather Wright. 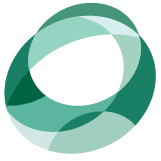 As seen on CERP’s About page, CERP staff are an eclectic mix of social scientists with expertise in quantitative and qualitative methods and a passion for diversity research. CRA wishes to thank the computing departments who distributed CERP’s Data Buddies survey during the fall of 2016! The collective effort of these departments provides data for CERP’s research on students’ experiences and successes in computing degree programs. 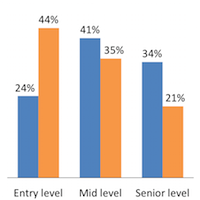 In CERP’s 2015 Data Buddies survey, computing majors were asked whether they had thought about changing to a non-computing major during the past year. Thirteen percent of students who responded to this question said that they had. The word clouds here were created using students’ comments about the reasons they considered leaving computing and factors that helped them stay. 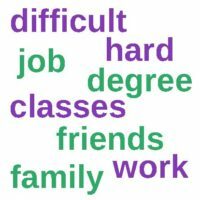 Some of the most frequently encountered words in students’ reasons for considering leaving computing were “classes”, “hard”, “difficult”, “work”, and “time”. On the other hand, students’ responses regarding the factors that helped them stay in computing contained words such as “job”, “degree”, and “friends”. Data Buddies 2016 is underway! On Monday, November 14, CRA’s Center for Evaluating the Research Pipeline (CERP) distributed its annual Data Buddies surveys to more than 110 participating “buddy” computing departments. Buddy departments send the survey to students affiliated with computing (e.g., majors; minors; students enrolled in CS courses; graduate students), and in return they receive a customized report on their students’ responses. 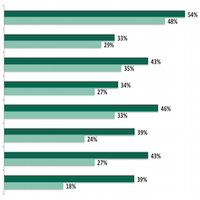 The survey measures students’ experiences in computing (e.g., sense of belonging), aspirations for the future (e.g., intentions to pursue a Ph.D.), and participation in computing activities (e.g., formal research experiences). CERP uses data buddies data to conduct evaluation as well as social science research on diversity issues in computing. Is your department a buddy? If not, help the computing community by volunteering your department to become a Data Buddy today! Visit CERP’s website to learn more, view our list of buddies, and sign up: http:/cra.org/cerp/data-buddies/. The CRA’s Center for Evaluating the Research Pipeline (CERP) made several contributions to the 2016 SIGCSE conference. Using data collected through the Data Buddies Project, the CERP team presented three talks during the event. CERP is thrilled to launch its new data visualization website displaying Data Buddies data. Dr. Ron Metoyer, Associate Professor of Computer Science and Engineering at the University of Notre Dame designed the website, alongside a team of student developers and CERP Research Scientist, Dr. Burçin Tamer. CRA wishes to thank the computing departments who distributed the Center for Evaluating the Research Pipeline (CERP)’s Data Buddies survey during the fall of 2015! The collective effort of these departments provides data for CERP’s research on students’ experiences and successes in computing degree programs. BRAID is now accepting applications for up to five new BRAID affiliate schools. Affiliates are schools that are working toward implementing BRAID commitments to increase diversity in their computing departments but are not receiving funding through the initiative. Affiliates will be eligible to receive consultation from Harvey Mudd College and NCWIT. In addition, affiliates will have the opportunity to be a part of a network of other BRAID schools and to share and learn best practices from one another in increasing diversity in computing departments. It is required that this work be led by the Department Chair who will be the main liaison on the BRAID project. Department Chairs from affiliates will be expected to attend the annual BRAID Summit, which will occur July 15-17, 2016 in Snowbird, Utah. CRA’s Center for Evaluating the Research Pipeline (CERP) will be working with Linda Sax, Professor of Education at UCLA, and a team of graduate students, on the research component of the Building Recruiting and Inclusion for Diversity (BRAID) initiative. The BRAID initiative was established in 2014 by Harvey Mudd College and the Anita Borg Institute for Women and Technology, and currently involves 15 computing departments across the U.S. that are committed to recruiting and retaining women as well as underrepresented men in computing majors. To that end, BRAID departments implement changes to their introductory computer science courses, and pathways into the major, as well as improve departmental climate, and promote outreach efforts for students.